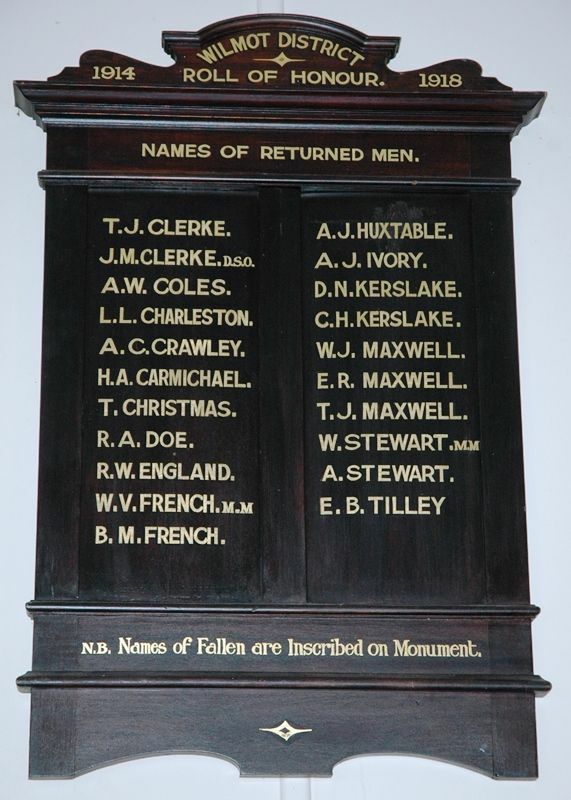 A wooden honour roll commemorates those who returned from service in World War One. N. B. Names of fallen are inscribed on monument.